Hi I’m Jen from Tatertots and Jello – where I love to feature a creative tutorial every day. I am so excited to be participating in Kristen’s Decorating with Pictures series. I LOVE seeing all of the ways people use photos of their families in their homes. It’s so inspiring!! 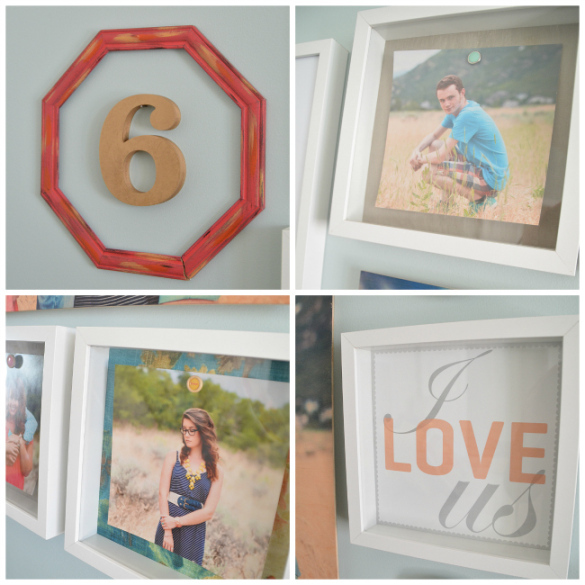 Here are a few ways that we have used photos in our home. A couple of years ago I created a Family Photo Wall which I love. It’s in our entryway and the bright colors make me happy every time I see them. Last summer I madeover our master bedroom. 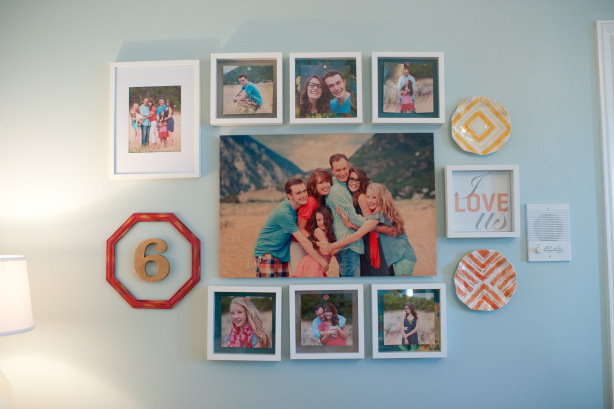 And one of my favorite elemens is the family frame wall I created using photos printed on wood from Shutterfly. 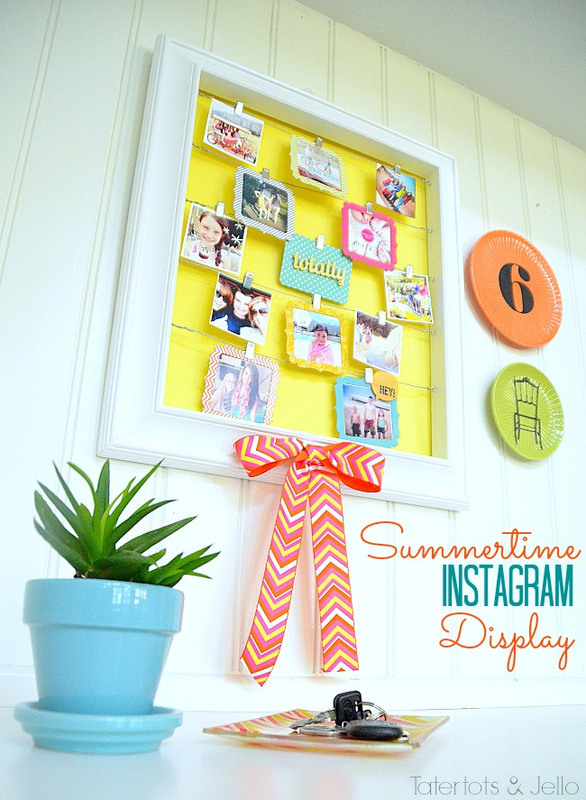 And today at Tatertots & Jello I am sharing some FREE Instagram printable frames you can print off and put your own IG pictures inside and create your own display. Come over and download them for free. 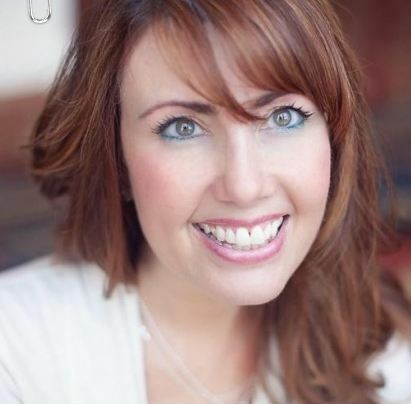 Thanks Kristen for letting me be part of this inspiring series. 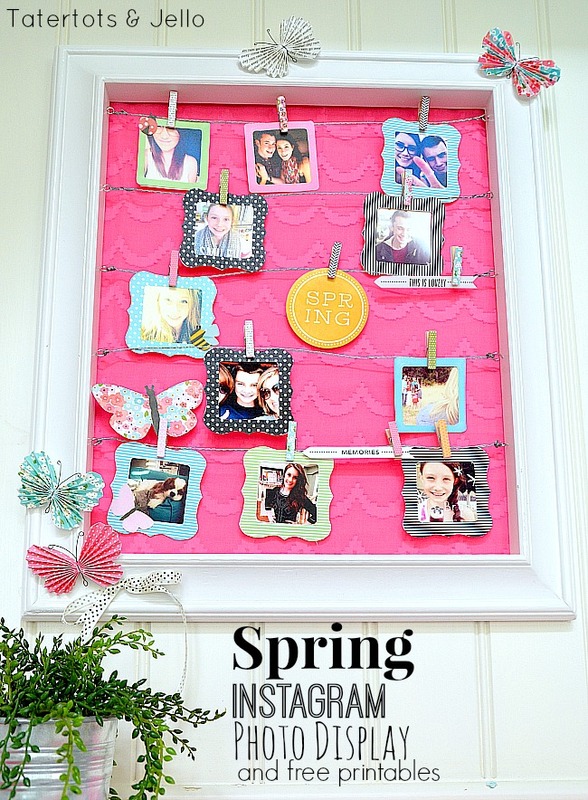 Be sure to check out all of the amazing ways to display photos in your home! Thank, Jen for the tour of family pictures around your home! 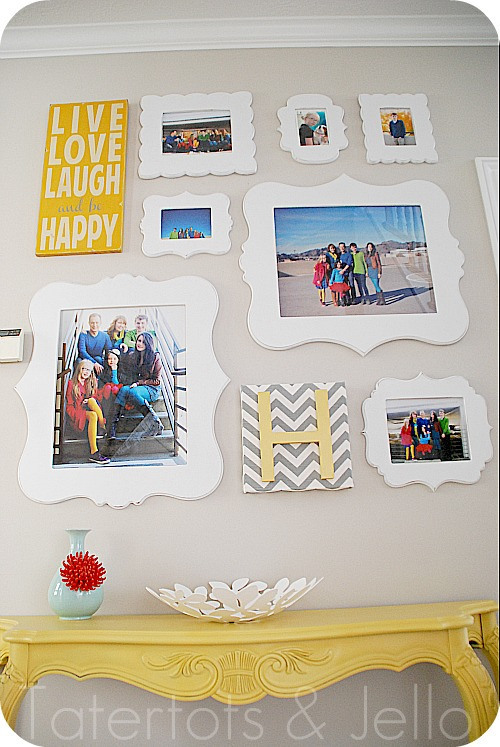 I love the bright colors, and especially your family hug photo BIG in the middle of your wall gallery. Our giveaway today is with Le Creuset. French inspired, cast iron cookware, the most trusted for the kitchen. I reviewed one of their dishes with my Cranberry Almond French Toast Casserole recipe. Today, they are giving away a 4 qt rectangular covered casserole dish to a lucky winner!